The Guyana Defence Force (GDF) closed the first day of their Georgetown Cricket Association (GCA) Noble House Seafoods two day second division match against Vikings in a strong position. Following are today’s fixtures in the Guyana Floodlights Softball Cricket Association’s Blackwell sponsored competition. LONDON, England, CMC – Dwayne Smith says he relishes continuing at the top of the order, after opening for the first time in an international match in West Indies’ 10-wicket loss to England here Friday. 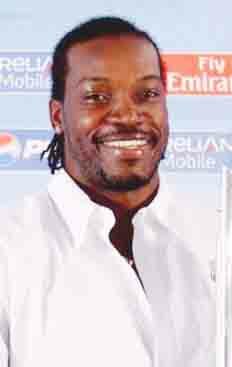 LONDON, England, CMC – West Indies will hope to salvage something from their short Twenty20 campaign here when they face England in the last encounter of the two-match series today. CHENNAI, India, CMC – Big-hitting West Indies batsman Kieron Pollard played a minor role as his Mumbai Indians scored a thrilling three-wicket win over fellow Trinidadian Dwayne Bravo’s Chennai Super Kings in the Champions League Twenty20 here yesterday. There was the good and the bad during the week for West Indies cricket desperate to show that its present, and future, is not as bleak as it seems. 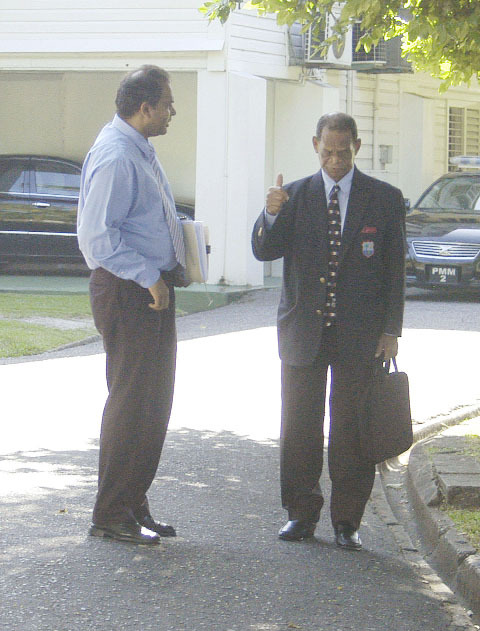 Sport Minister Dr. Frank Anthony yesterday chaired the first meeting of cricket’s top brass with the aim of setting up an Interim Management Committee for the game and in a statement the ministry said that the deliberations were “quite productive”. KINGSTOWN, St Vincent, CMC – A tame batting effort saw West Indies Women plunge to their first defeat in their four-match One-Day International against Pakistan Women, going down by three wickets at Arnos Vale here yesterday. 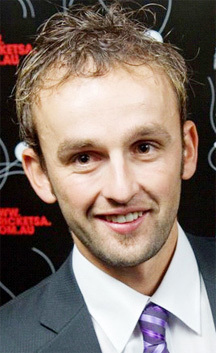 GALLE, Sri Lanka, (Reuters) – Off spinner Nathan Lyon dazzled on his international debut by capturing five wickets as Australia bowled out Sri Lanka for a paltry 105 runs in their first innings of the opening test yesterday. 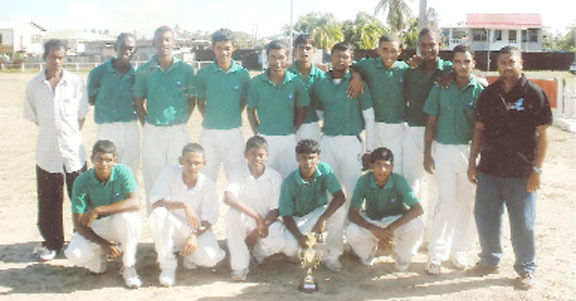 The Rose Hall Town Youth & Sports Club as part of its cricket development programme on Sunday would be hosting a one-day 20/20 tournament at the Port Mourant Cricket Ground. The Bakewell Softball Tournament organized by the Guyana Softball League continued last Sunday with matches in the open and over-40 categories at various grounds. The Berbice Cricket Board in order to expose younger players to a higher level of cricket has organized a series of 40-overs cricket matches between the Berbice Under-21 team and their counterparts from Georgetown and the East Coast. 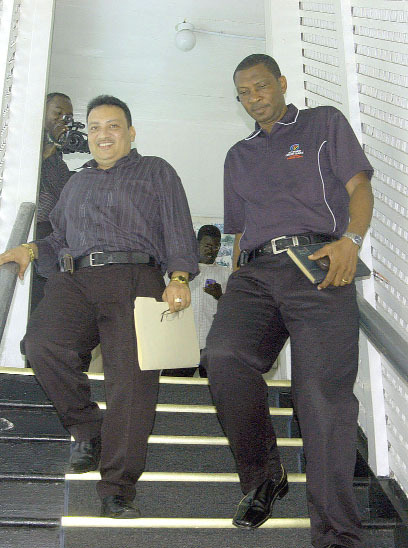 The Interim Management Committee (IMC) to goveren cricket in Guyana for the next few month will be formed today after a meeting is held at the office of Minister of Youth, Sport and Culture, Dr Frank Anthony. MANCHESTER, England, (Reuters) – England piled more misery on India with a thrilling six-wicket victory in a one-off Twenty20 match at Old Trafford yesterday. LONDON, England, CMC – West Indies speedster Kemar Roach made crucial strikes as Worcestershire put Division One leaders Lancashire on the back foot on the opening day of their County Championship game here yesterday. 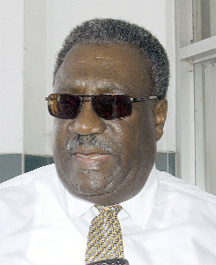 Legendary West Indies captain Clive Lloyd is optimistic that a bright future awaits Guyana’s cricket following yesterday’s meeting with President Bharrat Jagdeo, Dr.
LONDON, England, CMC – Rookie West Indies stroke-maker Darren Bravo hit a run-a-ball 62 for Nottinghamshire but failed to prevent them from a two-run loss to Lancashire in the Clydesdale Bank 40 on Monday. The Demerara Cricket Club yesterday partnered with the Commonwealth Games Canada through their Director Dr.
KARACHI, (Reuters) – Pakistan and Sri Lanka will play a three Test series, five one-day internationals and a T20 match in the United Arab Emirates from Oct. The administration of the Berbice Cricket Board was earlier this week given a shot in the arm when Food for the Poor (Guy) Inc.
BASSETERRE, St Kitts, CMC – Barbados defended their St Kitts Under-13 Festival in style, crushing the St Kitts Development XI by a whopping 198 runs in their final match here Monday. 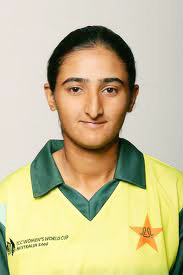 KINGSTOWN, St. Vincent, CMC – Another spectacular bowling spell from Anisa Mohammed swept West Indies Women to an 89-run victory over Pakistan Women in the second One-day International yesterday. 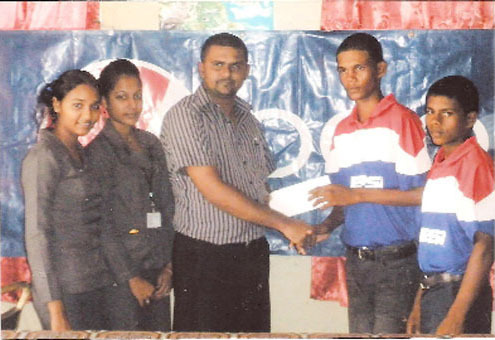 The Berbice Cricket Board for the remainder of this year would be involved in over 30 off-the-field activities and would also be hosting numerous cricket tournaments at all levels. The 2011 Berbice Cricket Board/Scotia Bank Cricket Academy was launched on Monday at the Area “H” ground with President Keith Foster challenging the 65 cricketers present to take full advantage of the opportunities being offered to them. NEW DELHI, (Reuters) – The Indian Cricket Board (BCCI) has thrown its weight behind a protest against sweeping government reforms intended to make the country’s sports federations more transparent. 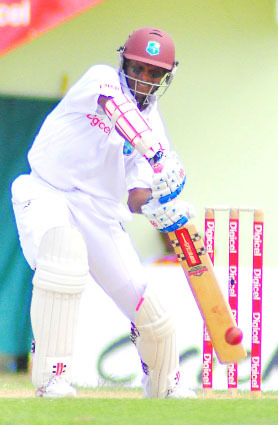 Rose Hall Town Gizmos & Gadgets and Port Mourant Karibee Rice registered wins in the only two matches played in the opening of the 2011 Ramcharitar Construction Service First Division 50-Over Knock-out Cricket Competition in Berbice last Saturday. BASSETERRE, St Kitts, CMC – Unbeaten Barbados were poised to formally clinch the St Kitts Under-13 Festival title yesterday after chalking up their fifth straight win in the sixth round of the tournament on Sunday. GALLE, Sri Lanka, (Reuters) – Sri Lanka will bank on its spinners in the first test match against Australia starting tomorrow in Galle, a pitch historically favouring turn, but the visitors’ debutant bowlers may cause trouble to the host nation’s batsmen. Beverage giants, Demerara Distillers Limited, under its international brand Pepsi, has renewed cricket sponsorship of the Rose Hall Town Youth & Sports Club Pepsi Under-19 team for this year. 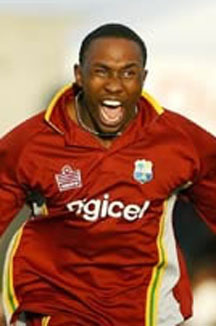 Keon Joseph’s five wicket haul led West Berbice to victory over Blairmont Community Centre last Sunday as the 2011 Tenelec Inc. 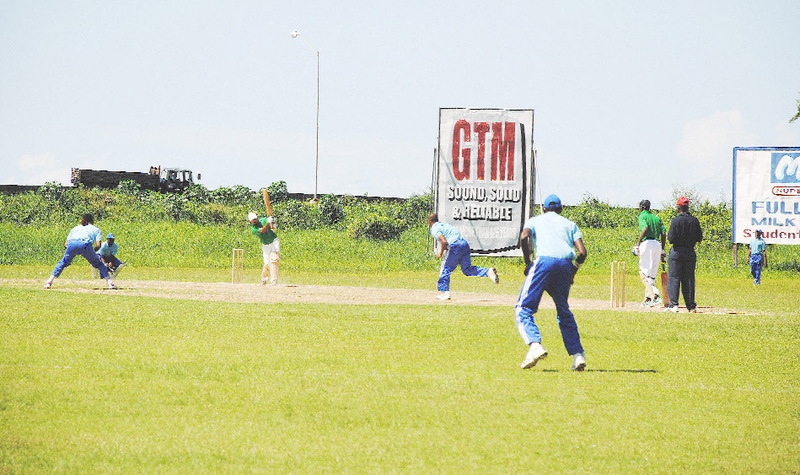 In a truly one-sided contest, Malteenoes hammered second division side Third-class by 241 runs, in the final first round match of the Georgetown Cricket Association’s (GCA) Queensway Cup limited-overs cricket competition at the Everest ground yesterday. Kares Engineering /Bushy Park Sawmills 10/10 cricket…. Albion Community Centre yesterday defeated Leguan’s Young Warriors by eight wickets in the Kares Engineering/Bushy Park Sawmills 10/10 Tapeball tournament at the Georgetown Cricket Club (GCC) ground, Bourda. BIRMINGHAM, England, CMC – Itinerant West Indies Twenty20 batsman Kieron Pollard failed twice for Somerset as Leicestershire clinched the Friends Life T20 Championship here yesterday. BASSETERRE, St Kitts, CMC – Barbados eased even closer to a successful title defence at the St Kitts Under-13 Cricket Festival when they trounced hosts St Kitts by 102 runs Friday, to record their second straight win. 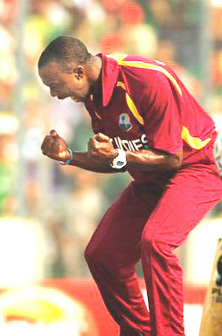 PORT OF SPAIN, Trinidad, CMC – A High Court judge has given the West Indies Cricket Board (WICB) six weeks to enter a defence to a motion filed by the West Indies Players Association (WIPA) regarding the issuing of no objection certificates (NOC) to regional players. 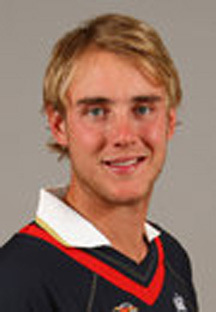 (BBC) Will Jefferson hit a six in the one-over eliminator as Leicestershire beat Lancashire in a rain-hit semi-final. 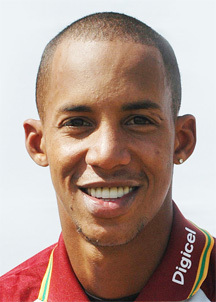 BRIDGETOWN, Barbados, CMC – Lendl Simmons made a small contribution, helping Carlton reach the Final of the Super Cup One-day competition with three-wicket victory over highly-favoured Empire in the semi-finals yesterday. 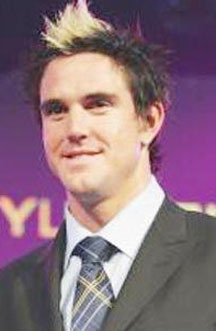 BRIDGETOWN, Barbados, CMC – In a repeat of the official World Cup staged earlier this year in their homeland, India overturned Sri Lanka to win the Lawyers’ World Cup by 22 runs on Saturday here. 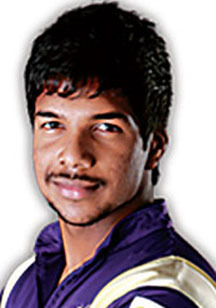 PORT OF SPAIN, Trinidad, CMC – Omar Khan is confident that Trinidad & Tobago can represent the Caribbean’s interest in a major way at the Champions League Twenty20 in India. 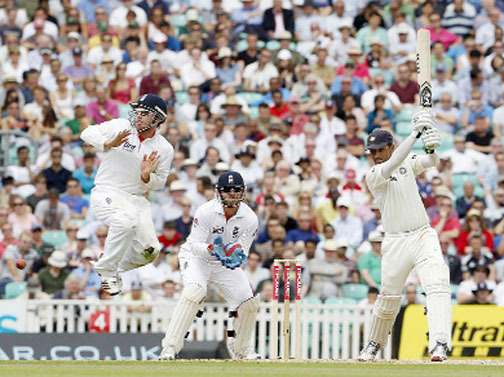 LONDON, (Reuters) – Another monumental performance from Rahul Dravid on the fourth day of the fourth test at the Oval yesterday delayed England’s progress towards a series whitewash over India. Captain Shakib Al-Hasan and Mahmudullah starred with bat and ball as Bangladesh finished their tour of Zimbabwe with a 93-run win in the final One Day International in Bulawayo yesterday. BIRMINGHAM, England, CMC – Veteran West Indies left-hander Shiv Chanderpaul completed a wretched County Championship debut for Warwickshire, falling for a “duck” as his side plunged to a 209-run loss to Hampshire inside three days on Saturday. 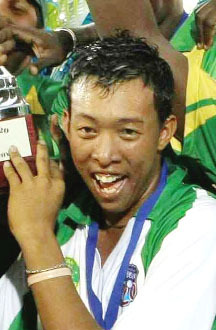 A solid all round performance by Guyana Under-19 player Clinton Pestano inspired defending champions Lower Corentyne to successfully defend their Diamond Fire & General Insurance Under-19 Inter-zone title at the Port Mourant Cricket Ground recently. The Berbice Cricket Board (BCB)/Scotia Bank Cricket Academy will commence its 3rd annual cricket academy on August 29 at the Area ‘H’ Ground. LONDON, (Reuters) – Ian Bell and Kevin Pietersen shared a record partnership of 350 yesterday as England ruthlessly dissected an inadequate India attack on the second day of the fourth and final test at the Oval. NEW DELHI, (Reuters) – As India cries out for a pace bowler to add some much-needed bite to its depleted attack, one man in the frame to become a future new ball spearhead believes speed alone cannot guarantee success. 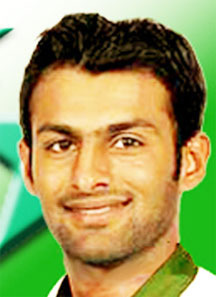 KARACHI, (Reuters) – Former Pakistan captain Shoaib Malik has been cleared of wrongdoing in an integrity investigation and can be considered for international selection again, the Pakistan Cricket Board (PCB) said yesterday. The Berbice Cricket Board (BCB) has extended heartfelt congratulations to the Berbice Universal DVD Titans on being crowned champions of the inaugural Hits & Jams Jam Zone 20/20 Tournament. 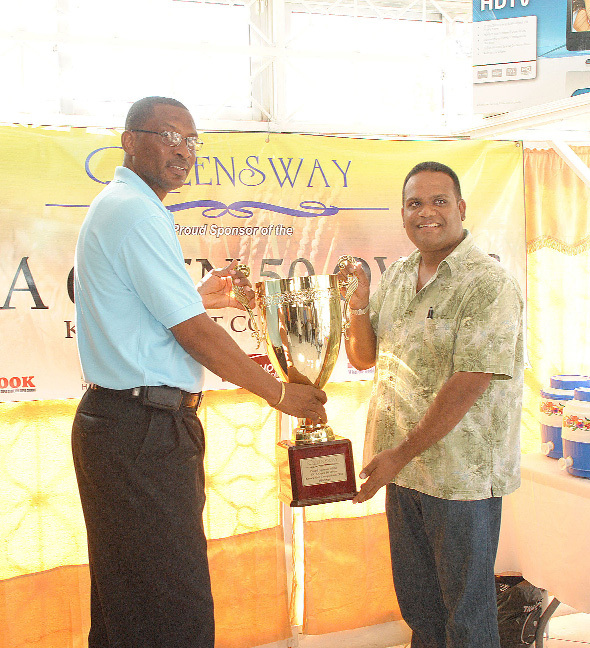 The Queensway-sponsored 2011 Georgetown Cricket Association (GCA) Open 50 overs Knockout Cricket competition was launched yesterday during a small ceremony at Value Maxx office on Regent Road and Oronoque Street, Bourda. 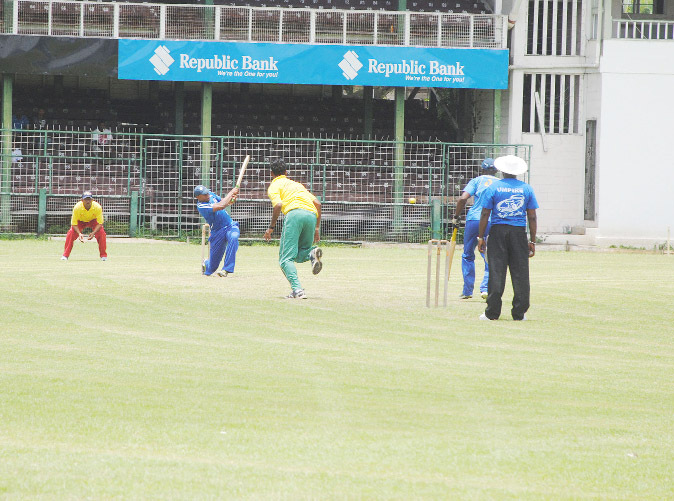 KINGSTON, Jamaica, CMC – Jamaica Under-19 coach Robert Samuels wants more limited overs cricket played in the country, if the side is to improve from their dismal showing in the WICB Regional Under-19 One-Day Championship in Guyana last week.